GOODREADS GIVEAWAY: ENTER TO WIN 'MICHEAL LAWRENCE'! 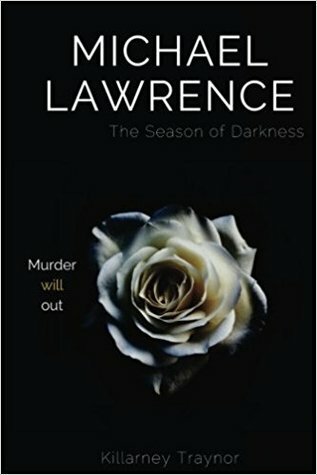 Portsmouth Police Detective Michael Lawrence is a career policeman with a stellar reputation, a loving family, and a good future ahead of him - that is, until his life is upended by an accident that left his daughter in a coma and his wife in a state of grieving. Now, months into his ordeal, he's called in to investigate the mysterious death of beloved music professor, Emma Gagnon. It doesn't look like murder... until someone breaks into Emma's office and another body turns up. Lawrence and his partner, Sohm, find themselves drawn into a complex web involving a missing girl, drugs, a popular author, a disappointed man, a grieving widower, and a driven student with a past. Lawrence is drawn deeper into the case and finds himself sympathizing with Emma's bereft husband, Harry. As the body count rises and the case takes on new and disturbing twists, everyone including Michael is beginning to wonder: has the consummate professional finally lost perspective?